Housing postponed a recession after the Dot Com crash. 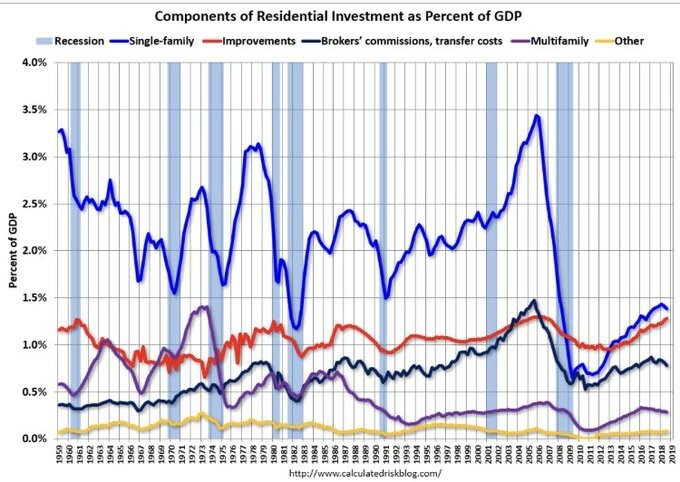 What will postpone the next recession, more easy money housing? That is certainly what Trump wants, with rules guiding lending being rolled back. But will anyone bite now that the prices are near the top? Seems like fear could enter these markets, especially where Wall Street has a large stake.